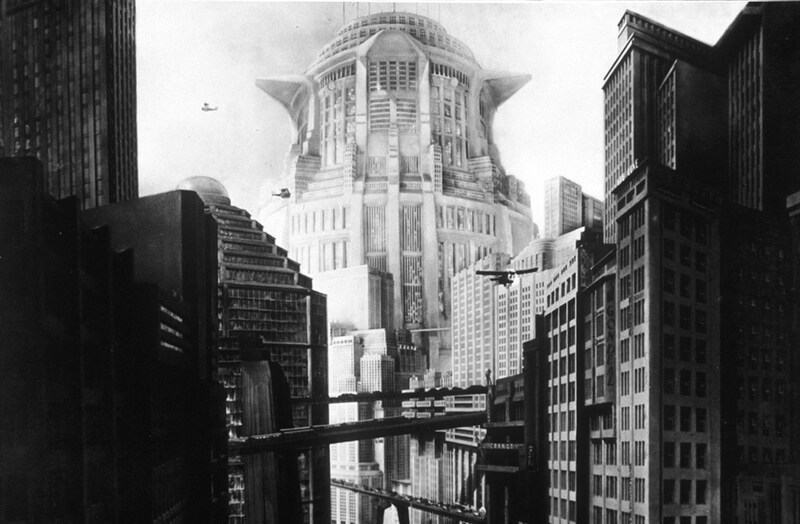 Metropolis Year: 1927 - Germany Director: Fritz Lang Photographer: Horst von Harbou. It is forbidden to reproduce the photograph out of context of the promotion of the film. It must be credited to the Film Company and/or the photographer assigned by or authorized by/allowed on the set by the Film Company. Restricted to Editorial Use. Photo12 does not grant publicity rights of the persons represented. So, in lieu of the arrival of, well, ‘Arrival’, we can begin to notice a pattern across the last few years of cinema, a monolith of cerebral science-fiction movies passing through the annual release schedule. Now, what is the significance of this? Is there any hidden social sentiment towards the way cinema is and where it could go? I believe so. Because I believe that these films are hailing what could be a resurgence of Hollywood ‘think pieces’, caught in the trappings of sci-fi lore. Consider a number of examples released these past four years. We had our ‘Gravity’, our ‘Interstellar’, our ‘Ex Machina’, ‘Looper’ and of course, the recently released ‘Arrival’. All of these films boast the foundational macro features of any blockbuster event: a rising or defined movie star, a visceral directorial talent and narratives that tackle futuristic elements of our existence that could become reality. Therefore, when we take a step back and examine the formula at work here, we can see how ironic the situation is. How the best method of achieving a return to the thought-provoking cinema we lost after the advent of the effects-driven blockbuster, is through the most effects-driven genre of all: science-fiction. Now this is just a hypothesis, as there’s no guaranteeing that this trend will remain buoyant as the years pass on. But it appears almost elementary that we have disregarded the raw intelligence that often comes with science fiction, a genre that has so often been misinterpreted and misrepresented in the cinema. This is clear from the general lean towards what could be brusquely described as ‘mindless’ action extravaganzas: films that spring to mind include ‘Independence Day: Resurgence’, ‘Star Trek Into Darkness’ and ‘Terminator: Genisys’. But the genre’s critics forget its modest beginnings: how its pioneers were legendary directors such as Fritz Lang, with his magnum opus ‘Metropolis’, and even George Méliès with the seminal silent film of the age, ‘A Trip to the Moon’. Even more so, filmmakers such as Kubrick redefined our understanding of what could be achieved with the cinematic art form, through his foray into this very territory: ‘2001: A Space Odyssey’. So, from a historical, reflexive perspective, we can see how the judgements made against science fiction are unjust. And what is so exciting for us as audience members is that this consistent demonstration of craftsmanship and ambition has seeped right on into our era. We have filmmakers such as Denis Villeneuve, Alex Garland, Alfonso Cuarón, Rian Johnson and Christopher Nolan writing, producing and directing their own movies within the science-fiction field, adapting interesting narratives built around themes such as the importance of communication and the Turing test equivalent of the question of artificial intelligence. We see a fulfillment of cinema as an art form: recall the haunting cinematography of Hoyte von Hoytema and Emmanuel Lubezki in ‘Interstellar’ and ‘Gravity’ respectfully, the sweeping long takes and breathtaking landscape panoramas that eschew in a sense of a higher aesthetic. But we also see a recognition of the importance of commercialization in this heavily computerized world. With social networking and video streaming sites such as Facebook and Youtube, adverts need to capture the attention of a society that has lost its span of interest to quick snippets of information. Thus the film star and the promise of spectacle are just as necessary as the maintenance of the cinema as an art form, to keep audiences motivated and attentive to the film on screen. Consider Nolan’s ‘Interstellar’: from a narrative perspective, it is a film that tackles such lofty scientific theories as relativity, the black hole and the possibility of extra-planetary colonization. It finds Nolan writing and directing a dense intergalactic study of man’s keen drive for survival, no matter what the cost. But, so necessary for the success of a tale such as this is the spectacle of galactic space travel, and the star power of Matthew McConaughey, Anne Hathaway and Michael Caine, actors who attract all cinemagoers to the highbrow entertainment that Nolan concocts here. From this example, we can see how science fiction films have an innate and unharnessed ability to epitomize the artistic qualities of filmmaking, while acceding to the commercial elements of modern filmmaking. This is a winning formula, and one that must be maintained in order to uphold the accessibility of these cerebral movies. What I am suggesting through this article is that there is still hope for the cinema we know and cherish. Critics and average filmgoers alike all complain about the downgrade in cinematic quality over these last few years. And a lot of this criticism is justified: there is a lack of creativity, distinctiveness and artistic quality in a large portion of modern, commercial ‘blockbusters’, ‘remakes’, ‘reboots’ and ‘sequels’. But this is where science fiction runs against the denunciation of modern filmmaking. By adopting the visionary direction of contemporary auteurs such as Denis Villeneuve, Alfonso Cuarón and Christopher Nolan, in addition to complying with the general commercialized elements of modern film, we see an equilibrium being established – a synthesis of what is generic and what is forward thinking in the cinema of our age. Therefore, the genre of ‘science fiction’ should never be underestimated. Studios should look back on the films of old, on the revolutionary pictures of Lang and Kubrick, and revitalize the achievements these films made in the modern era, so as to begin to take advantage of this for the foreseeable future, as a resolution to the disturbance in the quality of popular film.